After the analysis and adoption of the new Senate bylaw this 18 June, former presidents are no longer allowed to sit in the Senate. Politicians are confused. Tatien Sibomana, Spokesperson for “Amizero y’Abarundi” opposition coalition says the new bylaw comes to violate the Arusha Peace and Reconciliation Agreement. Sibomana says Article 6 (15) of the Arusha Peace and Reconciliation Agreement stipulated that a former president shall be entitled to sit in the Senate. 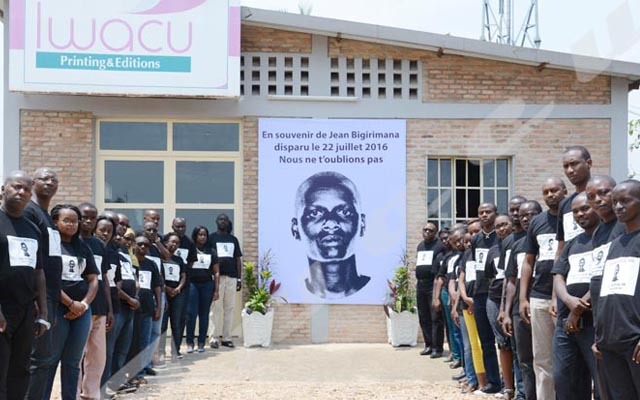 “The same article which is also included in the 2005 Burundi Constitution specifies that the former presidents must sit for five years instead of three,” he says. According to the Constitution promulgated on 7 June, Article 288 stipulates that “waiting for the establishment of the institutions resulting from the elections in accordance with this Constitution, the current institutions remain in office until the effective setting up of the new elected institutions”. For Tatien Sibomana, this article concerns all institutions that resulted from 2015 including the Senate. “We don’t understand how a country should be governed by two Constitutions”, he says. Abdul Kassim, Chairman of UPD Zigamibanga says the Constitutional Court must rule that the former presidents are legally dismissed from the Senate or not. “Article 288 of the Constitution promulgated on 7 June is clear. All elected institutions must remain in office until 2020. And the Senate is not an individual but an institution,” he says. Kassim also says the Constitution becomes effective after its promulgation. “All institutions must work in accordance with the new Constitution. Otherwise, the Constitutional Court must clear up all confusion as soon as possible,” he says. On 7 June, President Pierre Nkurunziza said the new Constitution didn’t come to modify or destabilize the existing institutions. “The institutions elected in 2015 will continue to operate until 2020 and added that laws that do not go against the new Constitution will always remain effective. Articles 288 and 299 of the new Constitution are clear,” he said.